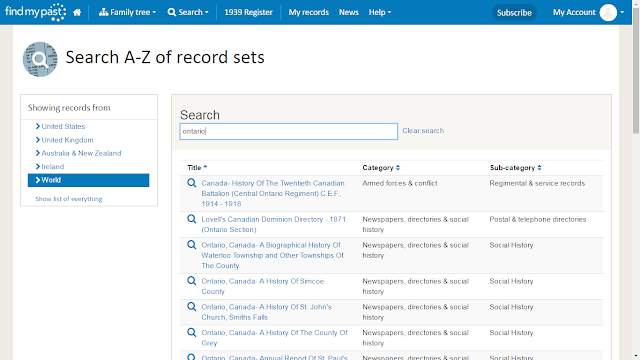 There is a Search field on the screen above, so I entered "Canada" and an alphabetical list of 217 databases from Canadian resources appeared. I wanted Ontario records, so I entered Ontario in the Search field and a shorter list of 120 databases was listed. 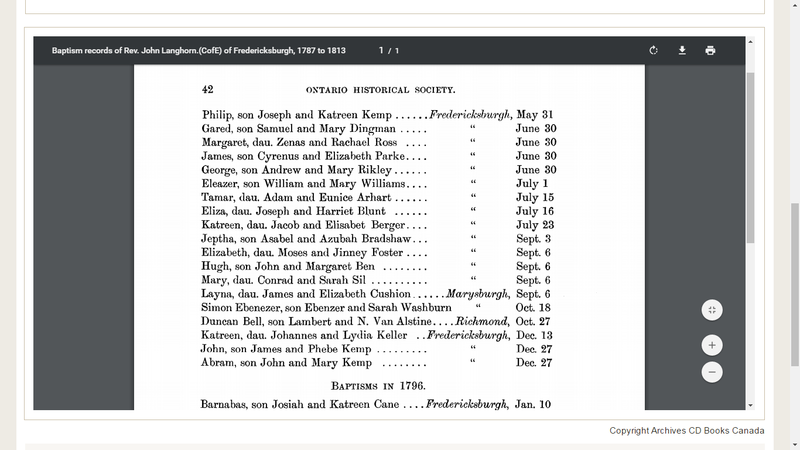 "Abram, son John and Mary Kemp ........Fredericksburgh, Dec. 13"
I can download the page as a PDF using the down arrow on the right-hand side of the black header line just above the document. I could also print the document out using the printer icon. 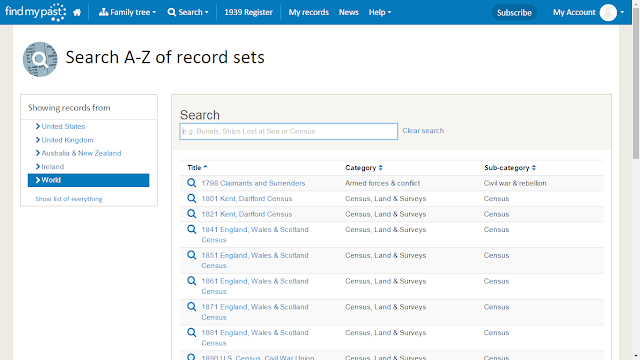 I found quite a few Kemp records in this work, and need to search it for Dafoe entries also. 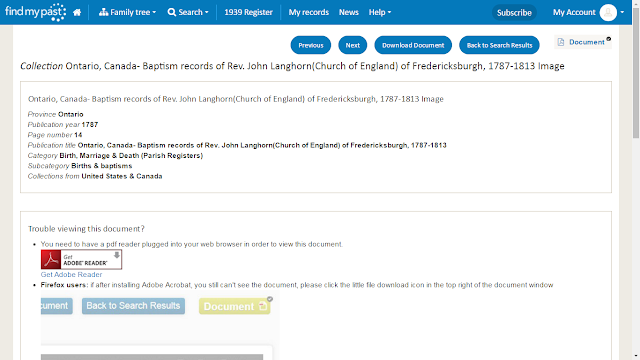 There is another baptism register for Fredericksburgh and a burial register also. 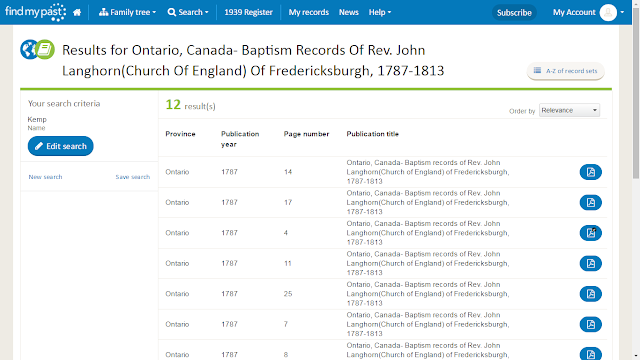 Then there are the other record collections available for Ontario! I may be busy for awhile! 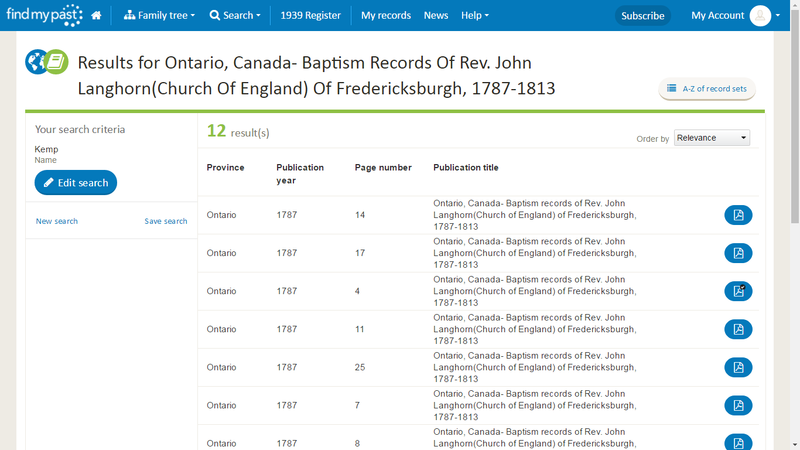 If you have Canadian ancestry, you may find some very useful documents and records in the Findmypast record collections. 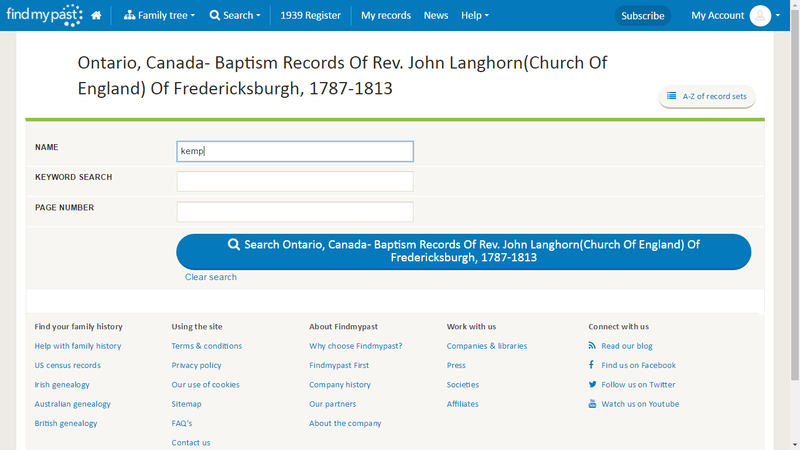 Unfortunately, I don't see the Canada Census records on Findmypast yet. I hope they add them soon! > Unfortunately, I don't see the Canada Census records on Findmypast yet. I hope they add them soon! The Canada Census is freely searchable (except 1921) on the Library and Archives Canada website http://www.bac-lac.gc.ca/eng/census/pages/census.aspx. The search features are limited compared to Ancestry, FamilySearch, et al, but it is free, after all.